I adore Shelley’s use of classic shapes in gorgeous and often bold colors. The table is a place to have fun and explore various combinations and designs. 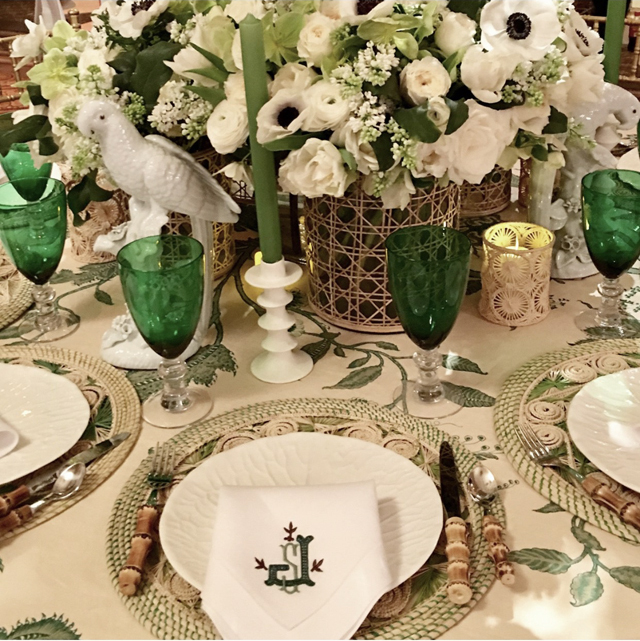 And I think from the images above you’d agree that you simply cannot go wrong with chic lettuceware, a whimsical tablecloth, jewel-toned stemware and bamboo cutlery. 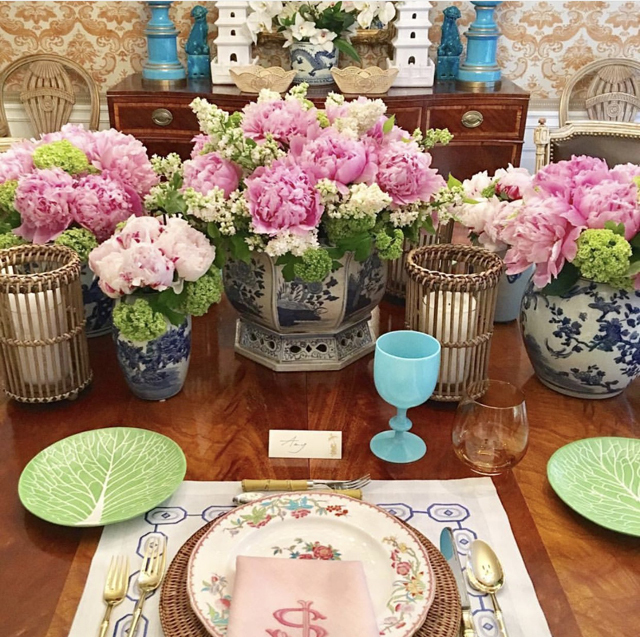 Oh and don’t forget the lush floral arrangements of course! 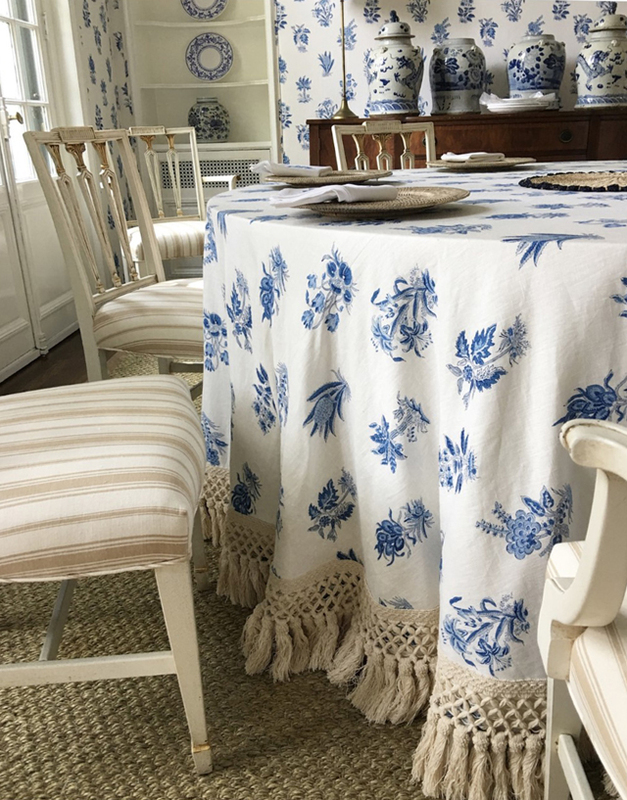 Blue and white plate and jar displays, stunning mirrors and chandeliers, and tablecloths with fringe details. This is what makes the room feel extra special! And each of the classic choices Shelley has incorporated will stand the test of time. 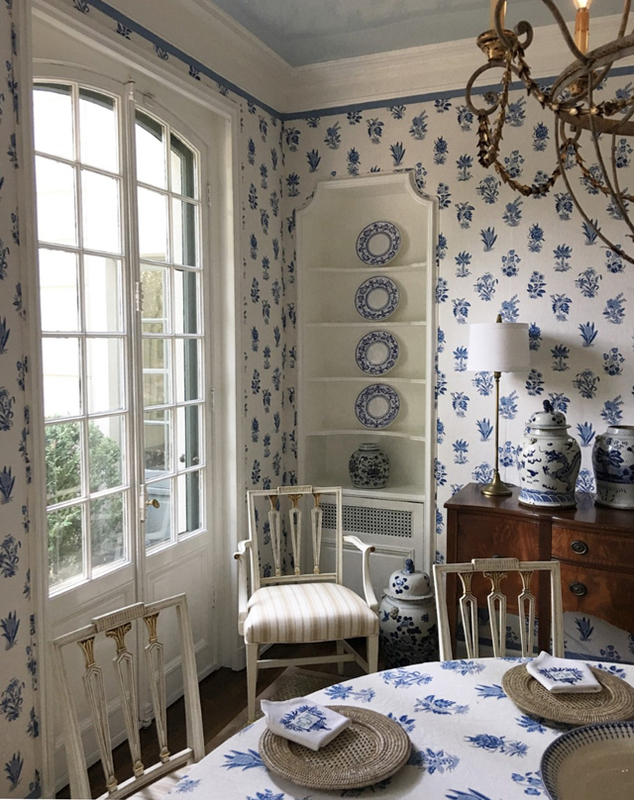 A bold stripe, a block print or a chinoiserie mural – these wallpapers take the dining room to the next level and really create a jewel-box effect. 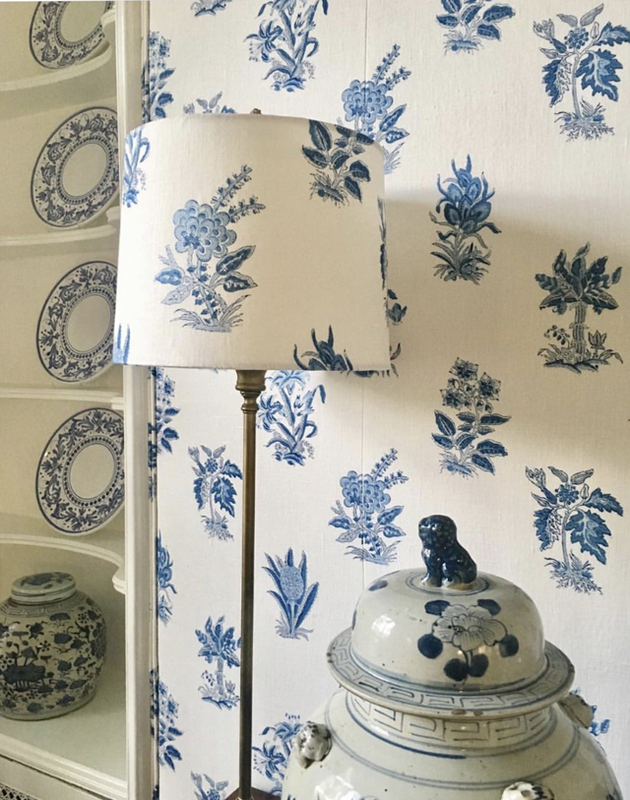 I love the colorways that Shelley chooses; they are sophisticated and soothing. 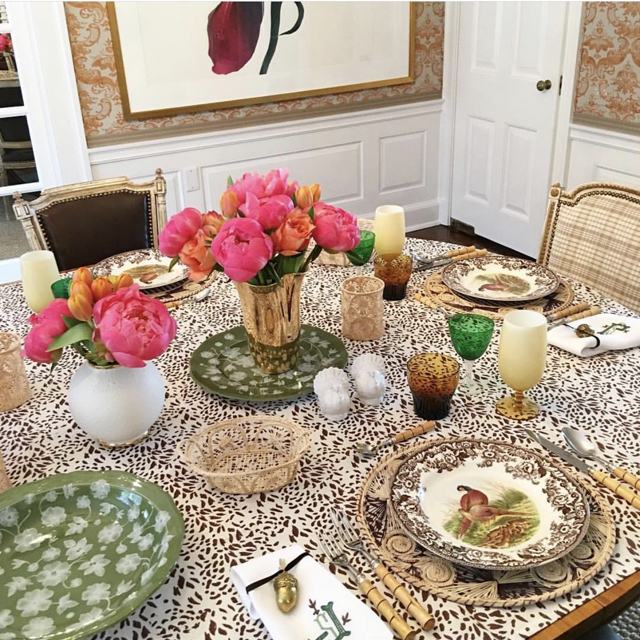 I’d want to stay at the dinner table for hours on end! If you look back to each of the spaces featured here, you’ll notice that the ceiling never goes forgotten. 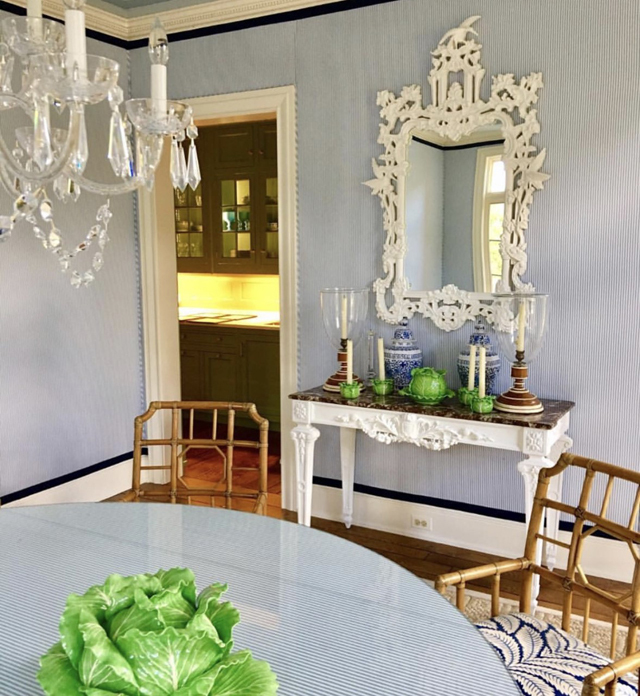 Shelley’s signature style is to paint the ‘5th wall’ blue, and I think it’s spectacular! 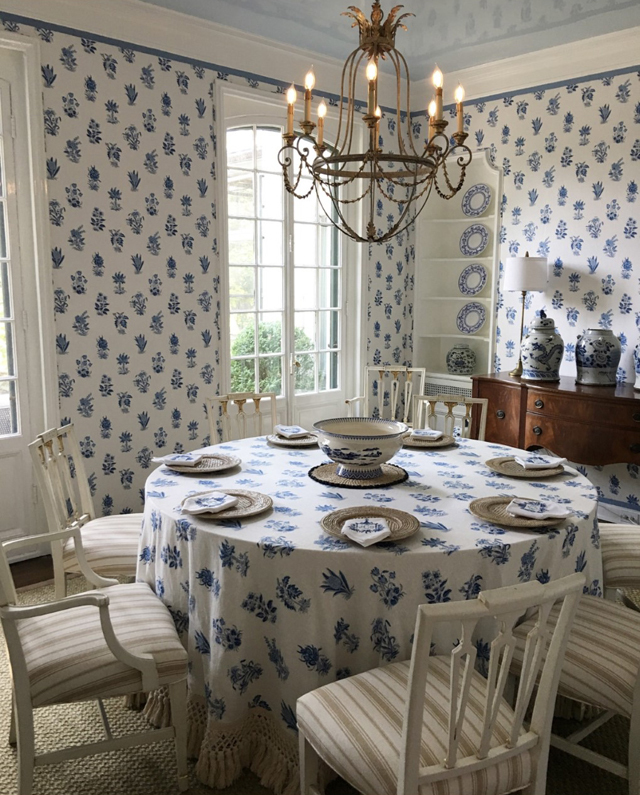 Shelley recently shared with Elle Decor that a favorite is ‘Breath of Fresh Air’ by Benjamin Moore. Note also that the reflection of a lacquer finish will really increase the appearance of the height of the ceiling. 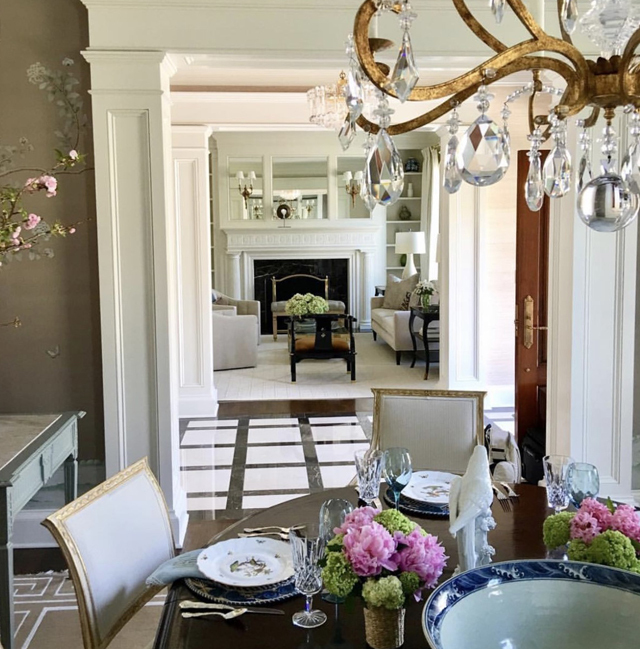 And there you have it, four fantastic features in Shelley Johnstone’s incredible dinning rooms. I’d easily love to have every one of these in my own space. 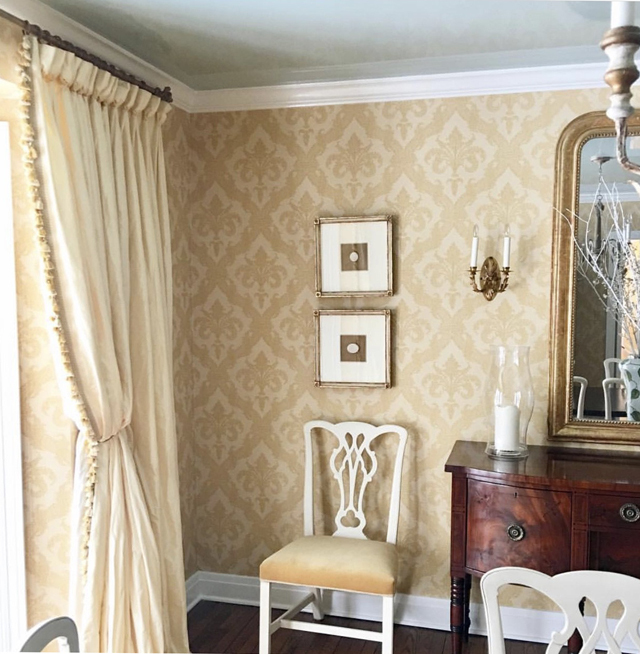 To see more from the designer hop to her portfolio here, and of course be sure to follow her on her always-inspiring IG account here.